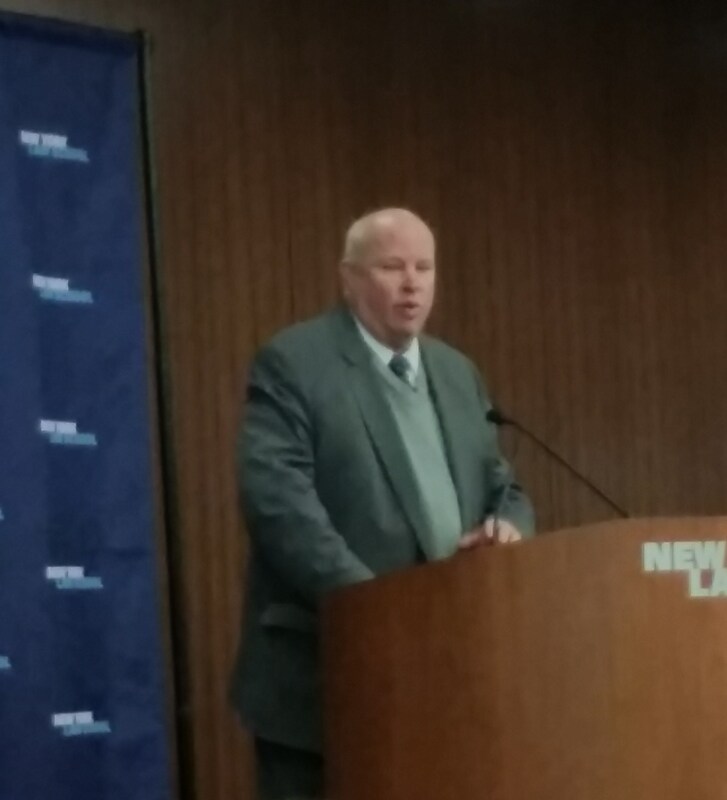 On Friday, November 21, 2014, the Center for New York City Law at New York Law School hosted a City Law Breakfast featuring Thomas Prendergast, Chairman and C.E.O. of the Metropolitan Transportation Authority, as the guest speaker. The special sponsors for this CityLaw Breakfast were Sam Schwartz Engineering DPC and Manatt, Phelps and Phillips, LLP. Chairman Prendergast was welcomed by Anthony Crowell, Dean and President of New York Law School, and introduced by Ross Sandler, Professor of Law and Director of the Center for New York City Law. The chairman spoke at length about the necessity for MTA’s capital funding to continually maintain the system. The chairman emphasized the value in spending money to maintain the MTA’s assets, and contrasted this with the cost of allowing bridges and tunnels to deteriorate to the point of closure and replacement. The chairman also addressed the challenges posed by climate change and the increasing frequency and severity of storms, and took questions from the capacity audience.